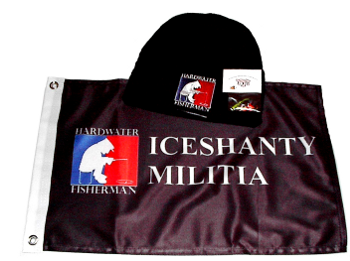 Shienar happy to see you and your fellow Nova Scotia ice anglers now have a board of your own.Put it to good use . Congratz on getting a board!!! I'm here for the "housewarming". THINKS EVERYONE SHOULD GET BENT! 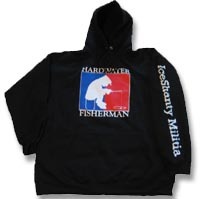 Ready for the hardwater Grat? Good to see ya on here! 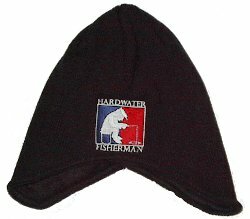 I'd love to get some info on hard water fishing in Nova Scotia. My wife's family is from Lower Sackville and I am usually bored crazy when I am up there visiting in the winter, would love to go fishing!!! Congrats on getting your board! Got relatives up in Antigonish. congrats on getting your own board gang!!! Welcome to the forum Nova Scotia Being from there it's nice to see more of an eastern presence, Home for me now is on the Alberta forum but I'll check back in here through out the season and post some pics and to see how everyone is doing. Good Luck everyone and have a great season! Remember, always keep both hands on your rod! It's about time they changed the rules in Nova Scotia for ice fishing! Welcome to the Ice Shanty board. I'm from Nova Scotia and lived there for about 26 years and there wasn't any ice fishing there then. So I had to pack up and go to British Columbia where the fish are huge and plentiful. I'll be coming back again to see how your guy's season is coming along. Welcome again! Hey Bill how big an auger did you have to use to get the monster in your avatar through the ice. Looks like it would be a tight fit through a 10" hole. Believe it or not a 8" auger. The fish touched it's back and belly coming out. It's my biggest fish through a hole. What a fight on 10 lb test! Nice one! Any signs of ice for you guys? Talked to my father, he was up to the camp (eastern shore)to get the docks out and said water level is really high. That was last week and he said no sign of ice, how's the lakes that you guys fish? I moved here from Sask.. not use to only being allowed to fish on certain lakes.. in Sask. ever lake is open to fishing.. and every lake has pubic access..
there should be no stocking of fish in lakes that dont have public access.. I threw away my 11" filleting knife and now use a 4" pearing knife to clean my big fish...lol..
Congratulations to the Nova Scotia Crew, Glad to see you have your own board, been a long time coming ! Good luck this Season and stay safe ! Hi all just signed up after being told of the site a couple of years ago. You were right Shienar there is loads of info just cannot wait for the ice. There was a little skim of the stuff in a ditch this morning when I took the dog for a walk, still a long time to wait though.